At ITC Sales, one of the key reasons we're able to keep our prices low is that we have great relationships that make us a Dell UK Outlet as well as other highly rated manufacturers. They have large stocks of refurbished laptops & computers that have either been reconditioned or otherwise deviated from the usual production line. 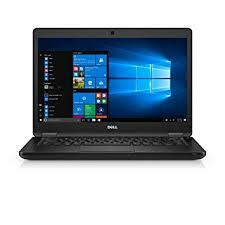 Our online store serves as a Dell outlet where you can directly access discounted laptops straight from the factory where they were made and offer them to you our customers throughout the UK.This works simply because the best way for the manufacturer to offload these surplus products is by selling them on to suppliers like ourselves here at ITC Sales. This means we're able to offer them at fantastic prices, despite the laptop computers being close to brand new in many cases. Minor cosmetic marks are a common reason for significant discounts, despite the laptop being in perfect working order. Check below to see the impressive range we currently have in stock, and see the details in the product description to check the reason for the discounted price in each case.